Harley Quinn has fast become one of the most popular characters in the DC universe. From her early appearance in the animated series in the late 90’s to her explosive growth in the comic books and now the Suicide Squad movie, her mischievous nature makes her a fan favorite. 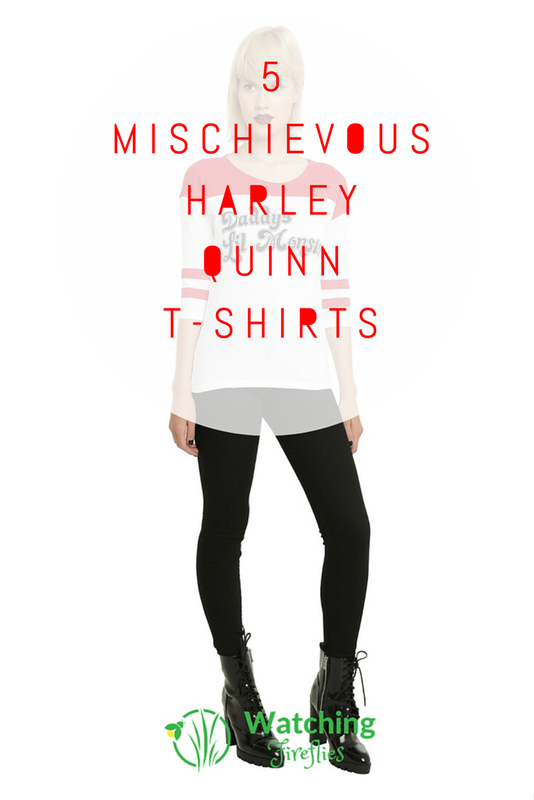 Show your love for Harley Quinn with one of these 5 cool Harley Quinn t-shirts. The relationship between Harley Quinn and The Joker is a complex one but she will always be Daddy’s Lil Monster. I’m sure that’s the case with some of you out there as well. 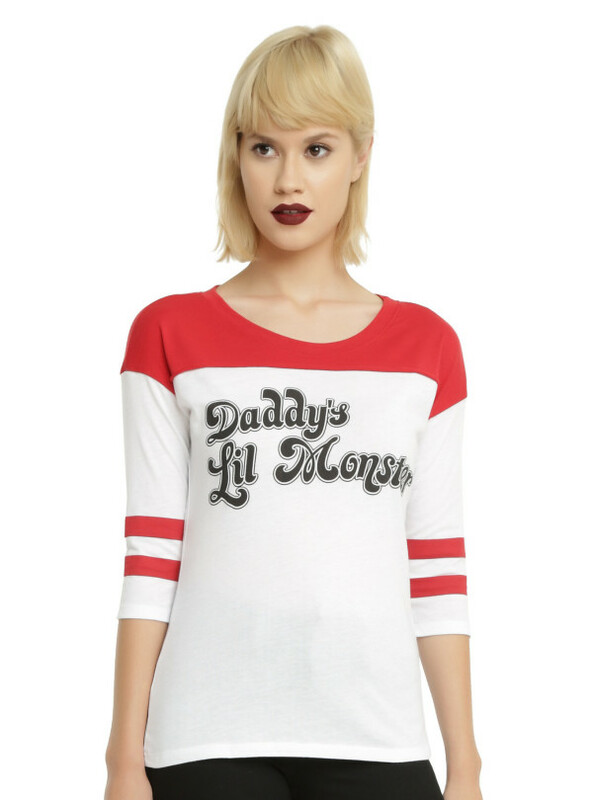 You can grab this movie style Harley Quinn T-shirt from HotTopic. I like this design from Urban Collector. 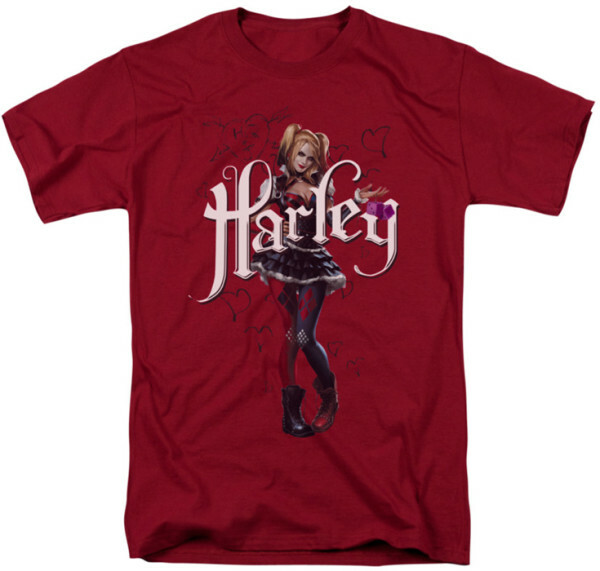 It features Harley Quinn on a red t-shirt with just the word Harley over the top. Simple but cool. Ant Lucia has done a fantastic version of Harley Quinn in his Bombshells collection. 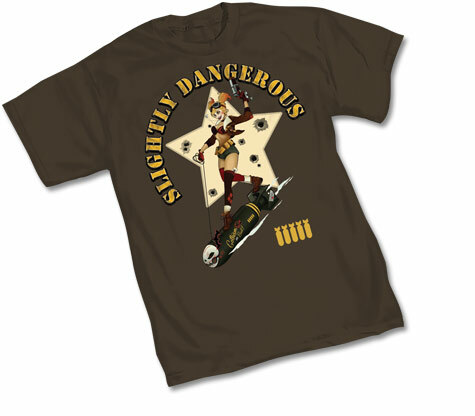 This one is a must for any Harley Quinn fan. 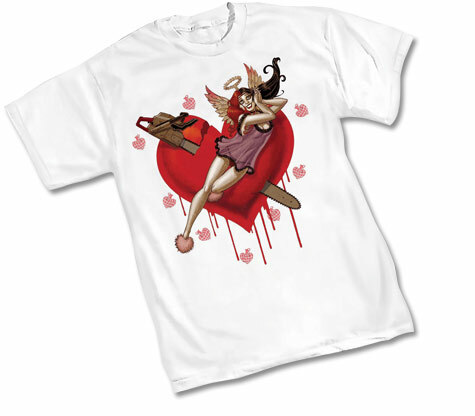 You can get this from Graphitti Designs as well. 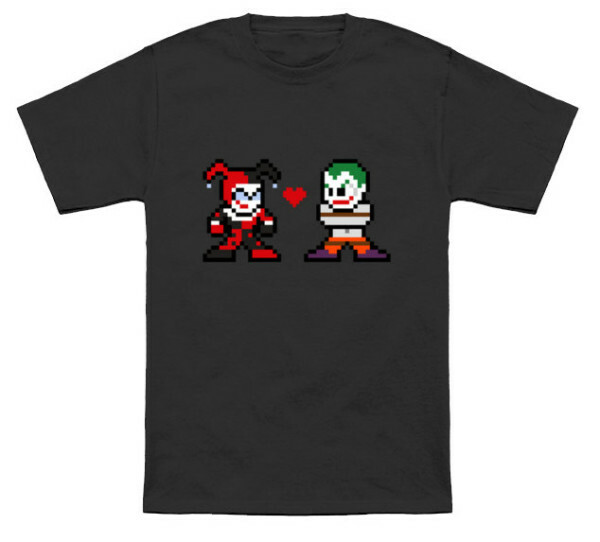 Classic gamer fans will love this 8 bit Harley Quinn T-Shirt. It features both Harley Quinn and The Joker in a classic 8 bit style. You can get this from 8BitHeroDotOrg’s Etsy store.